There are a lot of landscaping design options but the use of landscaping rocks has become quite popular amongst them. With different weather conditions affecting different areas, you may be faced with the problem of weeds. In this case, using rock beds is a good way to reduce this problem. Another benefit to the use of rocks in making a rock garden or even your yard is to improve the appeal. The rocks can be used to eliminate those areas which accumulate rainwater and also conceal patches which do not support the growth of grasses. With the various texture and colors of rocks available, it is easy to attract interest to the diversity of your landscape. While it is nice having benefits such as the addition of subtle beauty, there is a whole lot more to consider before you can make the right choice of rock for your landscape. So, we considered all important and minor factors and we selected the best landscaping rocks available on the market today. Read on below to learn more. The EMSCO Group is well known for its innovative designs in various areas like sports, landscaping, recreation, toys, cleaning aids, and more in addition to lawn & garden products. With over 150 years of experience, customer service and quality are some key aspects of the company’s delivery. And they show it in their landscape rock. The rock features a hollow build which makes it an excellent choice when you need to hide fixtures and also prevent access to certain areas. This is especially useful when you have kids around the home. Use it in covering your pipes, wells, sprinkler valves and more. This also helps to improve the appearance (since it looks good) of the lawn and garden. Continuing, the weight of the rock is light and that makes it easy to move around when necessary. Nonetheless, you might be worried about its position during certain conditions, but thanks to the addition of stakes which anchor the rock to the ground—you can be sure that it will always stay in place. The space you have available is also important in this case since you can choose from the various rock sizes available for purchase. You don't want your landscape to look underwhelming since the designs are not noticeable as a result of small size, so do take some time before making a selection. The rocks also come in multiple colors so you can get anyone that most suits your lawn and garden design. They likewise come with excellent textures so combined with the size and color, you can get something a bit more natural for your landscape since the feel and appearance are done right. EMSCO is well known for providing high-quality products in various areas. Therefore, this piece is just the norm as it offers a lot of great features at a slightly above average price when compared to others on the market. So, it stands to say that it might fit your budget or you might have to pick one a bit more suitable. You could improve the look of your lawn with this multi-purpose artificial rock which looks like the real deal—though you'll have to consider the price. Nonetheless, if you have no issue with the price, you also get to enjoy features like fixtures concealment. 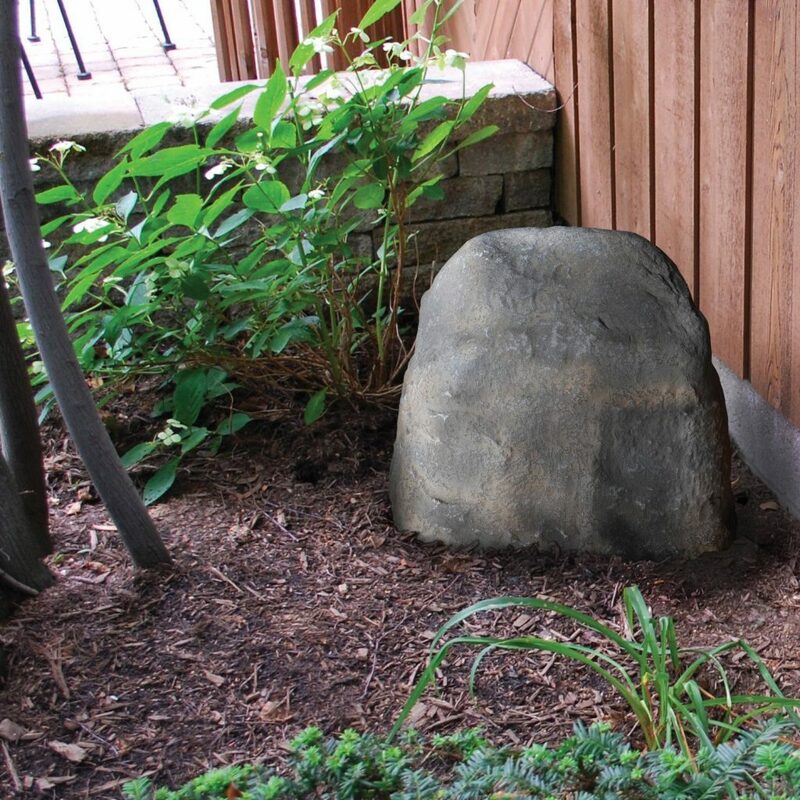 To give the look of a natural rock, the faux rock from Outdoor Essentials are irregularly shaped with different measurements to meet your taste. The rocks are made from a fiber-glass composite which is durable, weather resistant (emphasis on wind), and quite strong. This is in part thanks to the curvilinear design of the rocks which makes them stable and anchor without the use of stakes. The rocks are also resistant to other elements such as UV rays. The hand finish of the rocks makes it easy to achieve a more natural outlook and is achieved using UV-resistant finish. Additionally, you can also be sure that if you are ordering more than one of these rocks, the chances that you will get identical rocks are non-existent since it is hand finished. Moving on, if you enjoy carrying out DIY projects, these rocks are perfect for that and more—which is also due to the fact that the rocks are very easy to move around due to their lightweight. With the durable material used in making the rocks and the hollow design, you can drill holes into the faux rocks to pass your wires and hoses through. The hollow design is also very useful in hiding any unappealing portion of your lawn, like wellheads and more. This is sold at a price a little above average but comes with a 5-year warranty as a proof of quality. So, splurging a little, in this case, is ok. This faux rock has a UV resistant finish so you don't have to worry about the color fading away. Also, the price is slightly reasonable, so that's another advantage. And with the option of sizes and colors, you can get a rock that meets your landscaping requirements. Hollow rocks have become an important tool in landscaping. This is because of the ease with which they hide irregularities on your lawn and in your gardens. They are also an excellent form of outdoor décor, which is more effective than others. They are likewise available in various colors and they can blend well in almost any environment with most of them looking like real rocks. Weighing just 6 lbs. the rocks are lightweight and thus, easy to move around the lawn if you're looking for the perfect position to set everything up. The rocks are also easy to cut in case you have pipes which you would like to pass through them. And durability luckily is not an issue. The rocks come with stakes on the interior which are used to firmly hold them to the ground—and this prevents it from getting blown away by strong winds. 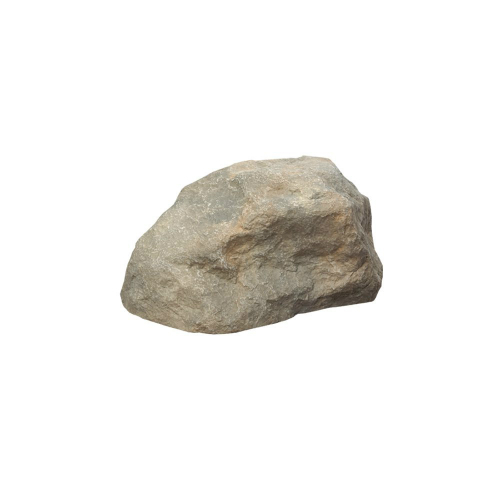 That said, the Dekorra 107 Rock comes in various sizes but this particular one measures 15 inches in length, 14 inches in width, and 23 inches in height. With this height, the rock is capable of concealing various objects including stop water valves, electric posts, and septic cleanout pipes. This is also a good method of preventing damage and vandalism of property and also to protect children and guests from any injury caused by these fixtures. This artificial rock is quite an expensive piece of exterior decoration. The plus side is its durability and materials which can be recycled. Nevertheless, if the price, to you, cannot be ignored, you can look out the other products on the list. 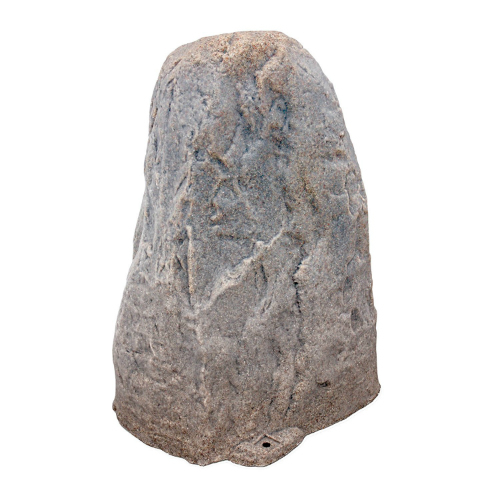 This rock is high enough to cover the common outdoor fixtures and wellheads and has strong stakes to ensure it anchors properly to the ground. Also, it's aesthetically pleasing when set up, and this equals a beautiful landscape as a whole. Though, you may have to look at the price tag before proceeding. You can find artificial rocks to adorn your lawn but it will often look out of place without a bit of pebble around. 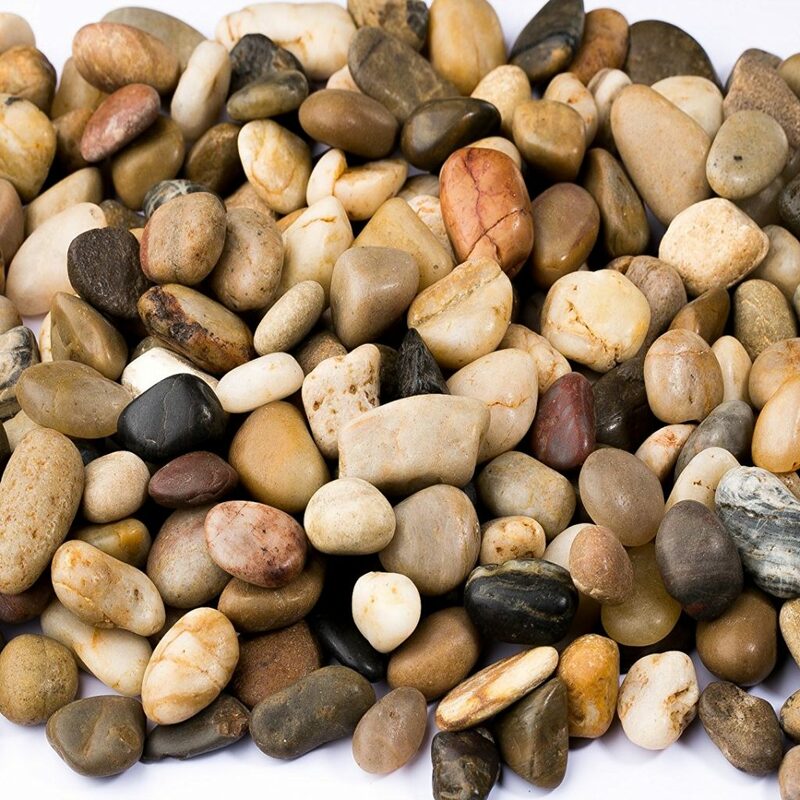 The pebbles from Fire Pit Essentials are all handpicked which are an excellent choice for landscaping professionals. The pebbles find a lot of other applications in addition to landscaping. You can decide to use them to fill your flower vases, pour into a water fountain, or even paint them. Also, adding these pebbles to your lawn can help prevent erosion of soil around the area and it even aids in the retention of moisture in the soil making it great for your grass and plants. That said, the pebbles come in various color options like black which has a lot of uses. Firstly, the black color gives a clean look to your lawn, which is as opposed to others like blue that are not subtle in attracting attention. Additionally, the black rocks are preferred by massage therapists for their use as hot stones since they absorb heat rather well. They are also available in a buff color which is lighter and gives off a carefree vibe when set up. 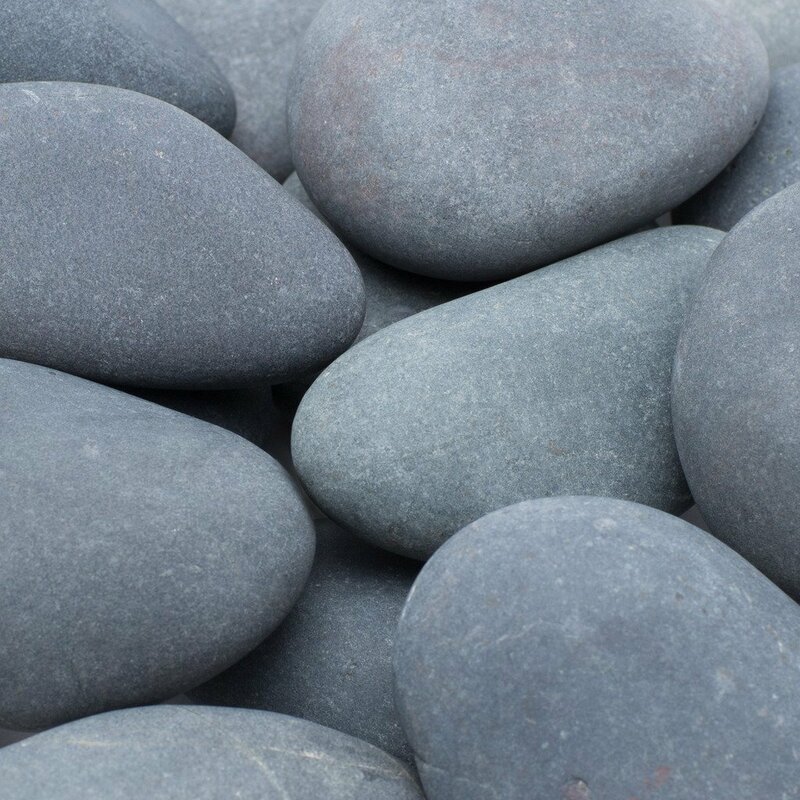 These pebbles are hand-picked with a lot of use, and despite that, they come at a reasonable price (though, a bit underwhelming when in comparison to others of the same type), which a lot of individuals on a tight budget will appreciate. Ensuring your garden sand is protected from erosion is essential for proper development. This option excellent in preventing that kind of issue and also provide an improvement to the soils moisture retention property. In addition to that, they're no slouch in the looks department and regardless of which class you select, they'll definitely improve your landscape in terms of aesthetic appeal. River rocks are an excellent way to improve the beauty of your outdoor décor. They find use in concealing any aggregate wall or flooring which is exposed, for walkways, ponds, and around your swimming pool. They can also be used as a tool to design a patio. The feature of the rocks which make them great for use around swimming pools is their smooth surface. There is no danger of injury due to the absence of sharp edges on the rocks and while they are natural rocks, they still come in various colors. So, choose from rocks of red, brown, black, grey, or white colors. You can also get a blend of all these colors for the most effective appeal for your landscape. The rocks are quite small with each measuring about ¾ inches. This makes them a good option for your aquariums and also with this size, they might be inadequate for use around children. Other features of these rocks include a good drainage quality property. It is also good in aiding soil in retaining moisture and likewise, to ensure that your soil remains intact, you can use these as they are well known for preventing erosion of soil. 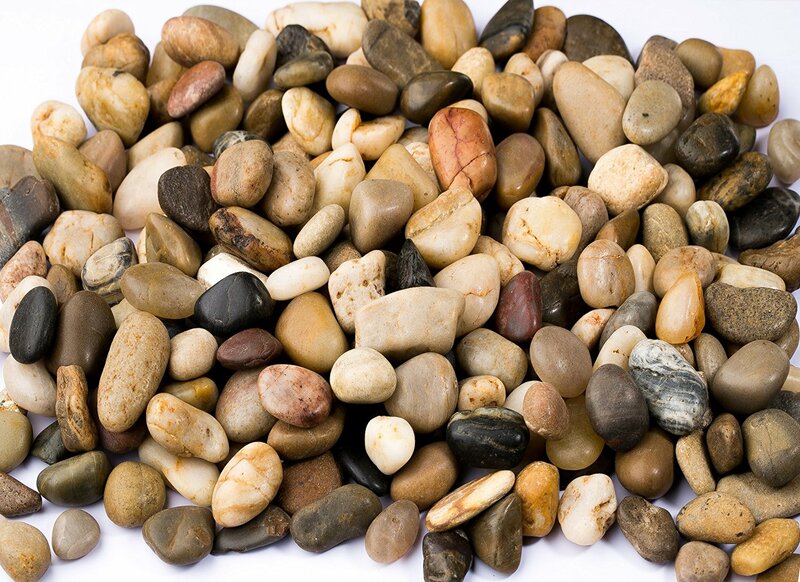 It has one of the most reasonable prices for pebbles, that you will find on the market, the Supply Guru SG2133 have a nice appearance with multiple shades of color. These rocks are all natural with a very small size that helps the physical appeal. They also find application in a lot of areas including indoor décor such as centerpieces and display canisters as well as outdoor like your swimming pool area and driveways. Nonetheless, children should be properly monitored by preventing (amongst others) them from gaining easy access to the rocks. There are lots of advantages to using lava rocks for your fire pits. The rocks can withstand high temperatures without crumbling, cracking, or degrading due to its composition. While under these temperatures, the rocks also radiate heat to warm your home and body. Still, while they are excellent for use in fire pits, they offer a lot more versatility. These lava rocks can be used as a landscaping tool. They can be used as an addition to planter beds, potted plants, and gardens. Using them as a form of décor is great as they also have a uniform shape and color. However, you need to pay attention to safety when you decide to make use of lava rocks both indoor and outdoor. This is because, on occasion, they may retain a bit of moisture when wet. When these particular rocks are heated, they can burst and lead to injury. The rocks also find extensive application in the commercial sector and they come in up to 3 different size options. They're additionally easy to move around since they are lightweight, and are reusable stones. Amongst the products that entail pebbles on this list, this is the most expensive. Still, it has a lot of features and its design is eye-catching, which is a good trade-off for any individual considering it. If you are looking for an alternative to other landscaping stones, this is a good choice for you to consider. The price might need some considering but when you look at the features, it's still an excellent choice for individuals on a tight budget. This 30 lb. bag of pebbles contains 2 – 3-inch pebbles which are hand-picked from beaches. They are tumbled in where they are found naturally for the best results. Like a lot of beach pebbles, these are capable of preventing erosion which is important for anyone who has a home garden or a maintained lawn. The soil can also experience improvement thanks to the moisture retention which it gains as a result of the addition of the pebbles. They come in natural grey color which is quite easy to accent, and because of that, a lot of people end up purchasing acrylic paints when buying the rocks since they can easily be painted to increase the appeal. This makes them an excellent tool for a crafting project. 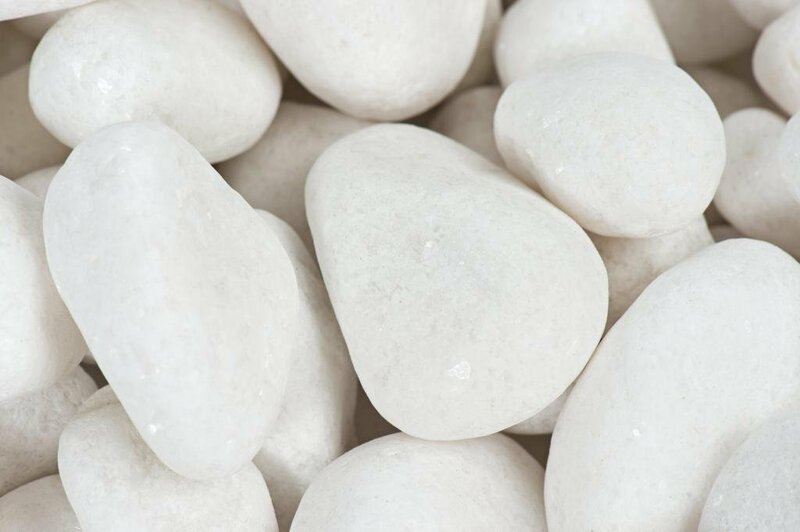 Margo pebbles are smooth and rounded to make them suitable for use in fountains, gardens, and on walkways. And through that, they are easy on the feet and great to walk on. 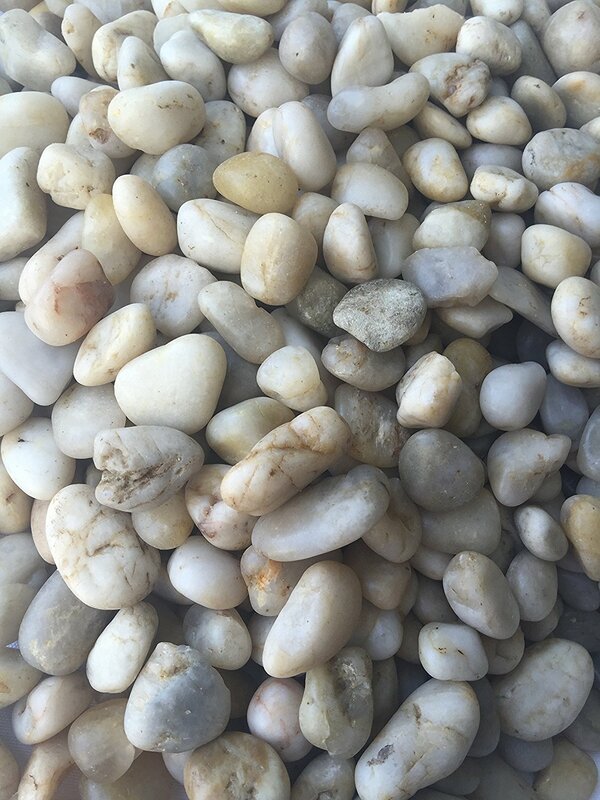 These pebbles have been cleaned before they are shipped as a complement to potential buyers. In turn, this means you can use them directly without fear of any adverse effect in case you want to use in an aquarium. The price of these pebbles is a little above average compared to other Rainforest Margo pebble products. Still, it's reasonable considering all of its features. 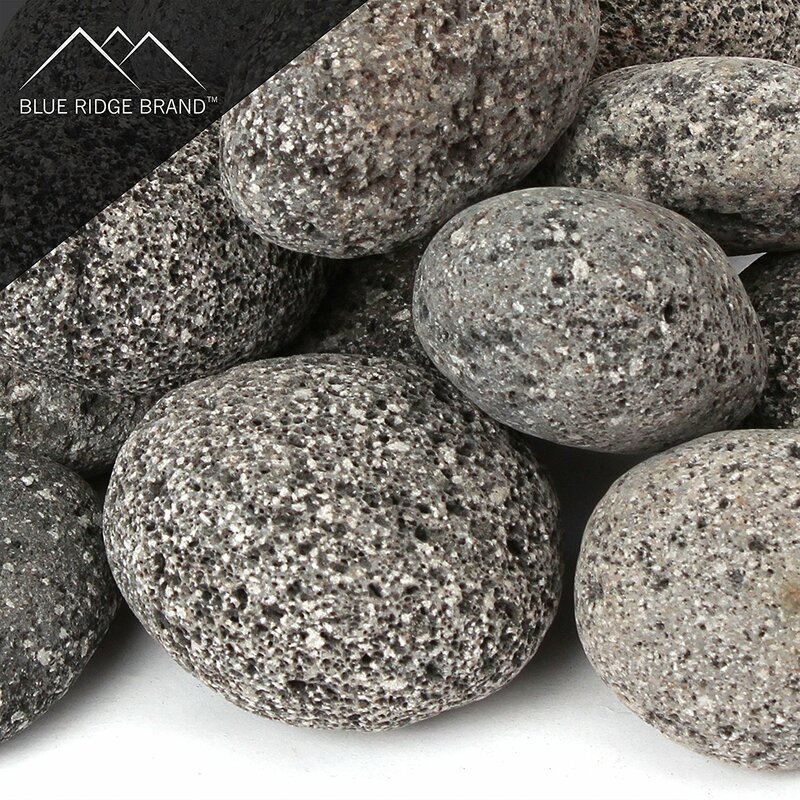 The natural grey color of these pebbles makes them a great decorative option. It is also good for crafting purposes and make a great option for walkways. Experience is a valuable asset for any landscaping company and Margo Garden Products is an embodiment of more than 30 years of experience. They manufacture fire glass rocks, soil, and potteries, in addition to natural hand-picked pebbles. And depending on how you arrange them, you can increase the coverage area of the 30 lb. bag. The pebbles, at a depth of 2 inches and 3 inches, can cover an area of 2.38 square feet and 1.5 square feet respectively. If you are looking for more depth, you can pour at 4 inches depth which will give you about 1.18 square feet of coverage. The pebbles are useful in creating outdoor gardens, walkways, water gardens, and interior decorations of the home. They are smooth, rounded, and snow-white which makes them easy to use in different areas. The bright color is also an excellent choice for a rock painting project and that leads to huge appeal for your landscape. That said, the size of the rocks must be discussed and like so, their sizes range from 1 inch to 2 inches so they can easily be used. These sizes are mixed into each bag with more than 50 rocks in each. These pebbles are reasonably priced at an average price for a 30 lbs. bag of these beautiful decorative pebbles. The most attractive feature of this rocks is the excellent snow white color which is attractive both indoors and outdoors. They are mixed in size and you can decide and regardless of the coverage area, you should find the amount available satisfactory. Interlocking rocks offer more versatility and opportunities to test your creativity. From making complex borders to simply arranging in different layouts, there is no limit to what you can achieve in design. This border system is a simple DIY model which requires very little tools to set-up. The fine grey color of the rocks gives a natural look of real rock formation and the walls are highly detailed to offer the best appearance you can get on the border. The rocks are also quite durable and will not be affected by the different weather conditions all-year round. Each package has two curved pieces to be used in setting up the border. It also has 18-inch spikes which are necessary in order to anchor the walls and prevent them from falling or getting blown away in windy conditions. With each section weighing a minimal of 9 lbs. it is easy to move them around till you get the right position to set up. Another important use of the border system is the extension of growing period and thanks to the hollow walls, you can insulate the plants and soil which gives more opportunity for growth even when the weather conditions are not very favorable. The RTS curved border system is on the high side when you consider the price of the package. This may well be as a result of its importance in maintaining your lawn and gardens. Border systems which the product usefully uses, are very useful in protecting plants and trees as well as preventing erosion of your planting soil. Also, the RTS rock lock is an interlocking system which comes with spikes to ensure it stays grounded in all conditions throughout the year. Likewise that, the rocks are natural looking and quite durable so you do not have to worry about it cracking while in use. 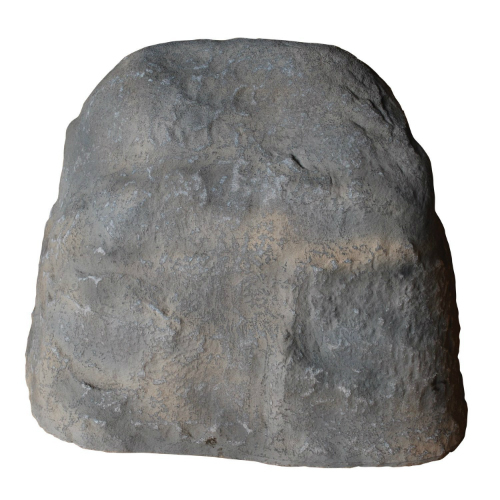 These stones are excellent for indoor decorative purposes and also for your garden pavement. They come in a 30 lb. bag and are useful for crafts and plant covering. Also, they are a great choice for fish tanks and flower vase. Moving on, they are durable and regardless of the weather, they'll easily stand through it. The stones in each bag have a mixed size between 1 inch and 1.5 inches and they are hand-picked and tumbled to achieve a uniform shape and size for all the stones. In regards to the application, the stones are there hence easy to use in various forms and customizations on the landscape. Also, other than the fact they contribute to the improvement in the appearance of your garden and lawn, the stones are also a good way to prevent the erosion of soil. The soil also enjoys improved moisture retention qualities which aid growth on the part of the plants. Not the most expensive on the market, but it is well above an average price. The benefits of these pebbles include their multiple uses for walkways, crafting purposes, and even vase and fish tank fillers. 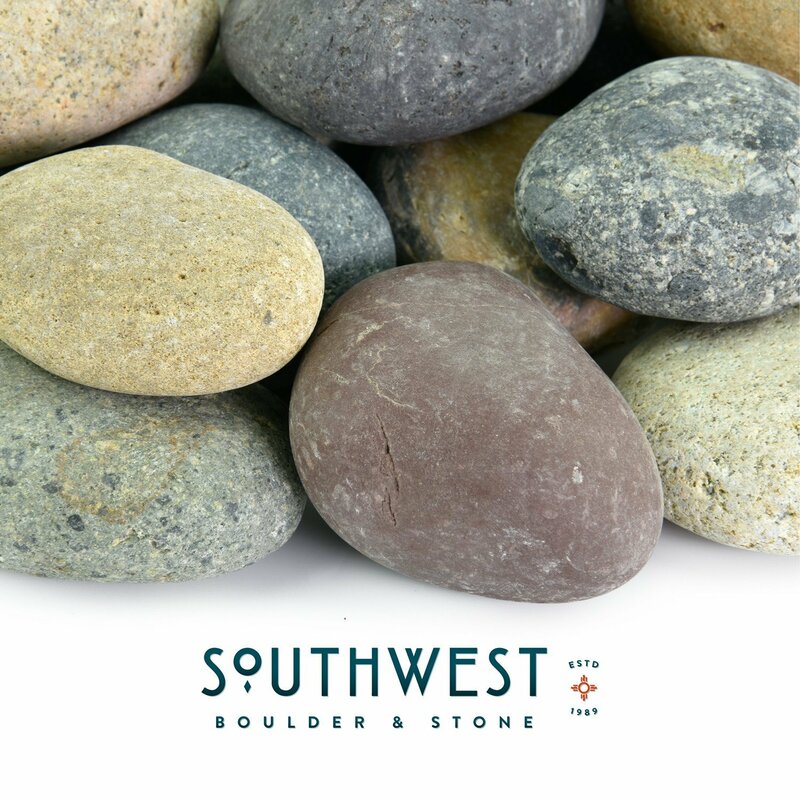 With the smoothness and roundness of the pebbles, they are a good choice for walkways, gardens, and more. Nonetheless, they might not be suitable for individuals on a budget and other alternatives might have to be considered. To get the best products on the market today, we used the experiences of landscape rock users and then we slimmed our list down with the following factors. When performing a landscaping design in your garden, there are a few benefits to the use of natural rocks. One of the most significant benefits is the availability of rocks in various types, colors, and shades which you can mix and match to get the best result. So, to get the best look out of your rocks, make sure you try out different combinations and also use additional eyes to evaluate your design. The extra viewpoints can give you great advice on what type of small rock will be perfect in arranging your flowers and what large rock is best for creating an excellent and effective border. Though, you’ll have to add in your opinion to really great an exceptional result. The sizes of landscape rocks available vary to a large extent. You can pick out rocks from the size of pebbles to very large boulders. When you want to pick a landscape rock, having a size in mind is a necessary factor. So, when making a landscape design, a boulder, as well as small rocks (otherwise known as pebbles), can be used in the same position to achieve the same effect. It all comes down to your size preference. A lot o people opt for larger rocks for landscaping because in the use of smaller rocks, the need for a lot of these rocks can increase cost and they can also be difficult to move about. If you ask most gardeners or a professional landscape artist, they will agree that it is much easier and less stressful to use a few boulders rather than getting a bag of little rocks to use. Nonetheless, these little rocks have a certain appeal that bigger rocks cannot compete with. Another important area to consider when selecting landscaping rocks is the color of the rocks. For anyone selecting any rock which is black or dark-colored, you should know that they retain heat from the sun which makes them hot during the day. While this is not an extreme problem—for those who would like to use the rocks as stepping stones, flowerbeds, or walkways, you may find it to be a poor choice. A flowerbed and dim rocks is a bad combination as the rocks can burn the flowers which you have painstakingly nurtured. A smarter combination and choice of rock is a moss rock or a limestone with a soft-color. Lava rocks may not always be the best choice for a flower bed. This is because they can reflect heat causing warmth around the flowerbed. They can also absorb a lot of water and in some cases where you are trying to water your flowers, removing lava rocks is a recommended as your flowers won’t have to compete with the rocks. One area which a lot of people fail to consider is the foundation of the rock they are choosing. If the base of most of the rocks you pick are uneven, then it will be easier for weeds to grow. This will lead to additional work in removing the weeds regularly. To select a good landscape rock, you should go for one with a flat foundation which will cover the land below it and thus, suffocating the rocks. Still, while this does not fully imply that there will be no more weeds, it helps to reduce the number of weeds that can grow in the area. This means that caring and eliminating the weeds becomes a whole lot easier. Where can I buy landscape rocks? 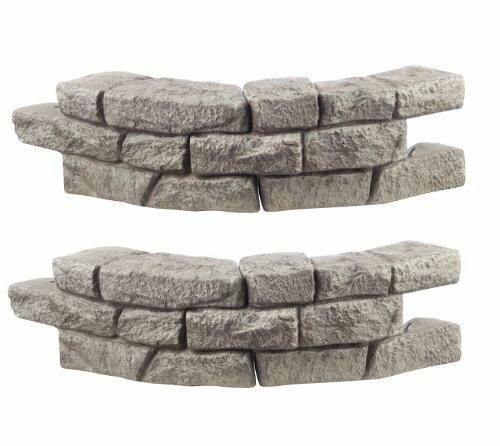 Any store that sells building/garden items, you’ll generally find landscape rocks there. Though, if you’re particularly interested in the above, we’ll advise you check out Amazon due to the services they offer and also because we use them as one of the sources of the reviewed materials. Which one should I pick between rocks and pebbles? Though both are technically rocks, we advise you choose one that best appeals to you or the one that’s most fit for your uses. Regarding the latter, you might prefer a product that you can use outdoors likewise indoors, and that’s why pebbles are better. Though, prices might be an issue, so properly consider that factor. Should I get a single color or multi-colored stones? This really depends on your preference as a user. Still, we prefer multi-colored ones due to the sense of variety they provide. But at the same time, they might be too eye-catching which isn’t particularly good in some cases and you might want ones with a single color.